The Rosa Parks Peace Park was created by participants in the Youth Empowerment Solutions for Peaceful Communities Project in 2006, 2007 and 2008 over the course of three summers. 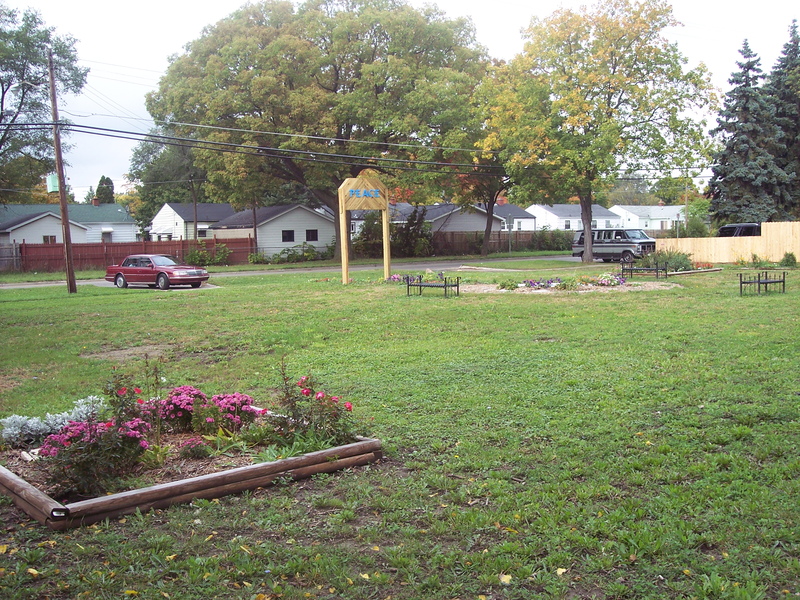 YES youth, assisted by neighborhood advocates, cleared two heavily overgrown vacant lots, planted gardens, installed benches, walkways and a “circle of peace” during the first two years. Signage was built and installed by members of a local high school honors society. The final year they added fences, and created a mural illustrating scenes from the civil rights movement. A local artist volunteered to paint a portrait mural of Rosa Parks, which was also installed at the park. Many local businesses donated materials to the park project and community members pitched in to help the youth. Everything you need to know about the YES Curriculum & how to implement it. Photovoice engages people in taking pictures of their community. It is used to identify local problems and strengths and to develop ideas for change.